Photo of Kim Nguyen © 2013 by Ralph Lucas. Used with permission. 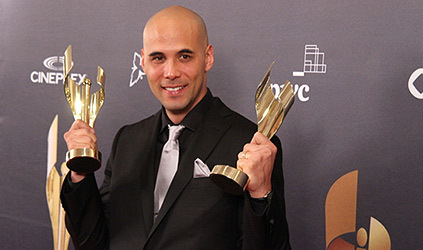 After graduating with a Master’s degree in film studies from the Université de Montréal, Kim Nguyen produced and directed his first fiction film, La Route, in 1996. The short film Soleil glacé, which he produced and directed, was screened in official competition at the 2000 Festival international du film francophone de Namur. Truffe was selected as the opening film for the 2008 FanTasia Festival in Montreal. His film War Witch was given the World Narrative Award at Tribeca in April of 2012. 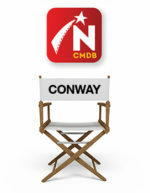 It also won 10 of the inaugural Canadian Screen Awards and 8 Jutra Awards in March of 2013, taking Best Picture, Best Director and Best Screenplay at both. His Two Lovers and a Bear was selected to be part of the Directors’ Fortnight at the 2016 Cannes Film Festival. 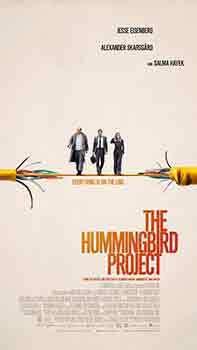 His 2018 film, The Hummingbird Project was selected for a Special Presentation at the 2018 Toronto International Film Festival where it will have its World Premiere.